When news broke that Michael Bennett was being traded to the New England Patriots, aside from the obvious football implications — Bennett remains one of the most fearsome defenders in the NFL — there was this: How would one of the game’s most outspoken political activists fit in with the team most closely aligned with fire-tweeting NFL critic President Donald Trump? The answer, according to Bennett: just fine. Speaking at Princeton University, Bennett addressed the thorny political question head-on. He indicated that he plans to talk with quarterback Tom Brady and head coach Bill Belichick about their connections to Trump. "I think it's important not to to run away from those conversations, or not hear their ideas about why they think the way they do," he said. "I think it's an opportunity for growth to have those conversations. ... If we don't allow ourselves to have those conversations, we're stunting our growth." The NFL’s protest movement took flight in 2016 as then-49ers quarterback Colin Kaepernick knelt during the national anthem to protest police brutality and systemic racism; soon afterward, other players joined him. Kaepernick and the 49ers parted ways after that season, and he hasn’t played a snap of football since. That left Bennett as one of the most prominent players continuing to protest. Early in the 2017 season, Trump fired up his base with a run of scathing condemnations of the NFL in general and Kaepernick in particular. Players faced withering criticism from a certain segment of the fan base, although the criticism was short-lived; ratings rebounded in 2018 from their 2016-17 dip, and Trump has since moved on to other red-meat topics. Even so, Bennett remains dedicated to the cause. He has been one of the loudest voices advocating change and equality, both in interviews and in his 2018 book “Things That Make White People Uncomfortable.” He has donated significant sums to activist campaigns, and he told the Patriots going in that he wouldn’t be changing his actions to fit team culture. That might not have been an issue for New England: "The Patriots have been trying to trade for me for two years,” Bennett said. “Last year they tried to get me, the year before they tried to get me." Bennett also noted that he would remain in the locker room for the anthem next season. "I explained to them is that my integrity mean everything," Bennett said, per ESPN. "I think they respect that about me, they respect who I am as an individual." How will Bennett fit in on the Patriots? Bennett’s presence on any team would rile up the segment of the fan base aligned with the president. 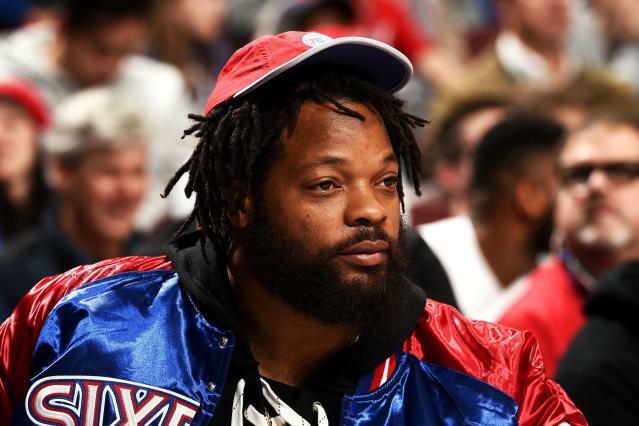 But the fact that he’s now on the Patriots, whose two most notable figures have deep connections with a president deeply unpopular with African-Americans, adds a new twist to the political game that runs above and around the on-field game. Even so, Bennett pronounced himself “excited” to join the team. "From a football perspective there's a respect for Belichick," he said. "I consider him the Yoda of football when it comes to the ins and outs of what's happening around how to prepare for a game." And here’s a thought — maybe Brady and Belichick understand that whatever Bennett does before a game, he’s fearsome as hell during it. Maybe they’re wise enough to respect Bennett’s beliefs even if they don’t necessarily agree with him, and maybe they understand that criticizing symbolic acts rather than focusing on actual issues is an easy dodge. There’s a reason these guys have been to nine Super Bowls and won six of them, and it’s not because they get caught up in the cheap heat of the moment. "The Patriots are a team that people love to hate because they always win," Bennett added. "The opportunity to learn from that and be in that environment is good."